According to a survey by the AAA Foundation for Traffic Safety, Americans spend close to 300 hours a year behind the wheel of their cars. And for some of us that number is much more. We trust our cars to get us where we want to go safely, but what information does our car have on us that could be collected and then used by other sources? 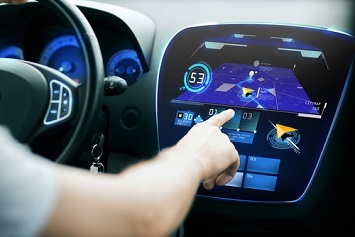 Due to GPS location devices and in dash software, your car can gather data about many aspects of your life, like where you live and work, what music you like, and just how fast you like to drive on the highways. As cars utilize more sensor technology there is no end to what they might be able to report about you. Luxury automobiles feature more external sensors and cameras to help you use the road more effectively, but some new cars, like the Tesla Model S, have internal cameras as well. Their reported purpose is to make sure you are not distracted while driving, but they may do much more. And automobile manufacturers currently have a good deal of latitude regarding what they do with the information they collect. Like anything else, the kind of information can be used for positive effect, or it can be used for more nefarious purposes. The GM Marketplace that allows for in-app purchases from your car is one example of what car manufacturers would like to do with the data collected by all of these sensors. However, much like a journalist at Wired discovered, it can be all too easy for hackers to take control of a moving vehicle. Smart vehicles pose yet another concern for security officers tasked with protecting their executives and other workers at the organization, along with company data and intellectual property. To help outline the threat, The Zebra has put together an infographic that outlines all the ways your car may be gathering data about you and what you can do to make sure that this is not used by companies or hackers to undermine your privacy or safety. Infographic courtesy of The Zebra.